Registration information you provide when you create an account, which may include your first name and surname, country of residence, gender, date of birth, email address, username and password. Information you provide in public forums on our Service. 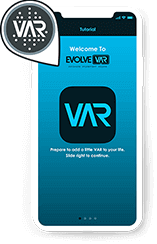 Please note that our sites and applications may offer chat, forums, community environments (including augmented reality avatar sharing) or other tools that do not have a restricted audience. If you provide Personal Information when you use any of these features, that Personal Information may be publicly posted and otherwise disclosed without limitation as to its use by us or by a third party. We have no obligation to keep private personally identifiable information that you have made available to other users or the public using these functions. To request removal of your Personal Information from a public forum on one of our sites or applications, please contact Customer Support. Information you provide to us when you use our sites and applications, our applications on third-party sites or platforms (such as social networking sites), or link your profile from a third-party site or platform to your registered account. Usage, viewing and technical data, including your device identifier or IP address, when you visit our sites, use our applications on third-party sites or platforms, or open emails that we send. Beta Service User: If you volunteer to serve as a beta participant for our pre-release application, we may track bug reports and individual system performance in an effort to test our technology rigorously before it is deployed. We collect information you provide to us when you request products, services or information from us, register with us, participate in public forums or other activities in our applications, respond to customer inquiries or surveys, or otherwise interact with us. We may collect additional information if you access our App through a specific device (e.g. your mobile device’s unique identifier; information about your device’s operating system, your browser, browser or operating system language; your wireless network, and your mobile carrier; the EIS activity log). We may also collect your WPS location data – you can choose whether to allow this by changing your geolocation tracking settings. If we believe in good faith that such disclosure is necessary under applicable law, or to comply with legal process served on EIS. In order to protect and defend the rights or interests of EIS, its products and services, and/or the other users of such products and services. In order to report to law enforcement authorities, or assist in their investigation of suspected illegal or wrongful activity, or to report any instance in which we believe a person may be in danger. To other third parties (a) to provide you with services you have requested, (b) to offer you information about our products or services (e.g. events or features), or (c) to whom you explicitly ask us to send your information (or about whom you are otherwise explicitly notified and consent to when using a specific service). For instance, we may provide certain information to our payment processor, to credit card associations, banks or issuers (if you are using a credit card), to PayPal (if you are using a PayPal account), or to providers of other services you request. If you choose to use these third parties’ products or services, then their use of your information is governed by their privacy policies. You should evaluate the practices of third party providers before deciding to use their services; and to other business entities, should we plan to merge with or be acquired by that business entity. We recognize the need to provide further privacy protections with respect to Personal Information that we may collect from children in our applications. Some of the features on our sites and applications are not directed towards children, and we do not knowingly collect Personal Information from children in connection with those features. Our Services are not intended for children under the age of 13. Therefore we do not knowingly collect personal information via our website or applications from anyone under 13.